Reason I ask is that I have alot of ships to sell and i dont want to loose out on credits, hence im waiting for the discount to end but it seems to last forever. But is it not a good thing that the gameplay is so varied? It changes drastically when there are 4 CV's on the map, DD's have to stay back, players need to focus on not going off solo amongst other things. I think it adds variety, i have only played in T8 DD's & CA's against T10 CV's (I do not own any T10 myself i only face them :P). In such a game a DD trying to cap early will be punished, DD's with patience will fare better because later in the game CV's will start fielding bombers and torps and focus bigger targets, giving you breathing space. I think universally in every single CV game nowadays whether it is with 2 or 4 CV's the first target for all those CV's are allways the DD's, everyone will start their first and often second wave of airplanes sending fighters to find, pin, spot and destroy DD's. This is why it is so deadly with 4 CV's if you push too hard as a DD. It took some time to grow on me but i now enjoy the T6 & T8 CV rework overall (I have not tried T10 yet). Something i like alot is how CV's become stronger the longer the game is played, starting out in a more scouting role (DD spotters) and then gradually becoming stronger and stronger enganging capital ships. The only two negative things are that players still have a chance as a CV T8 to end up in a T10 match with sometimes almost exclusively T10's. Thats is not very productive for a T8 CV. You mostly just end up giving free plane kills to the enemy unless you exclusively hunt DD's, but there are only so many DD's in a game. The other thing i found underwhelming was the 1 sad little torp i get when playing in Hermes. It is difficult to score kills with only 1 torp and you need kills to get more xp to get to T6 in a somewhat regular pace. I found T4 to be a slow and very booring grind, so after 4 games i could not take it anymore and used free xp to T6 (this was with Hermes I have not tried the japanese or US T4's). Edit: The last point might be very harmful towards getting players to choose CV's. Many will probably never grind out T4 because it is so slow and booring, and thus miss out on the outstanding T6 & (unless you are unlucky) T8 CV gameplay. What about IFHE for Duke of York? And is 10% more concealment really more worth than Fire Prevention? I have Fire Prevention on my 19 point Bismarck captain and that skill is a beast. I was thinking something completely different with my Duke of York captain: https://worldofwarships.eu/en/content/commanders-skills/?skills=3,9,14,17,18,19,33&ship=Battleship Edit: for some reason IFHE is being not recommended in game, but when i read on the skill it does not seem so bad, 30% more AP on HE shells for only 3% less fire chance, why is WG placing a big nono recommendation on that? Any chance for a British commander CV spec? :) Edit: or is it just a copy paste of the USN commander skills? [QUESTION] Where did the news regarding nation, type & tier credits discount go? What is the sigma on the Duke of York? Hello, I got the Duke of York late yesturday and my experience with this ship is not a very pleasant one. My issue with this ship is with the salvos that land right on target and you go "bye bye target :)". In those cases three things usually happen: 1. Bad luck but a few hits, no biggie just some bad luck is all. 2. Citadel 3. BOOM!!! However with the Duke of York an alarming rate of those sweet perfect salvos goes like this: TOTAL MISS. The salvos are either too short or too far away and i end up missing every single shot. It is starting to get very depressing to see this happen with such frequency compared to most other ships i play. This is why I suspect that the sigma is not so good. So back to the reason for this topic: What is the sigma on the Duke of York? And also, is it different from King George V? Battlefront 2 Open Beta anyone? But this one is even worse because this is on a set time table. 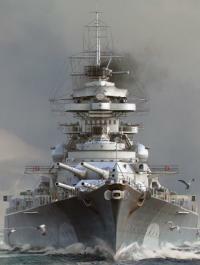 I have never complained before, but this has to be mentioned, to hide Duke of York behind this huge grindwall (11 torps hits with only British ships, 75 000 XP, 90 000 Torp Damage in a single battle & 10 BB kills) is going to (i imagine ofc i cant know for sure) prevent a huge majority of players from ever reaching Duke of York, and some of those players will in frustration just buy Duke of York. Battlefront 2 open beta flashbacks anyone?